I’ve wanted to try this one since it arrived at my door last April. This is, as with most McPrice Myers wines, a big boy, weighing in at over 16% alcohol. The professional and Cellar Tracker reviews sound promising. As I state every time I have one of these wines, they may not be for daily consumption, but every few weeks I can get into one. 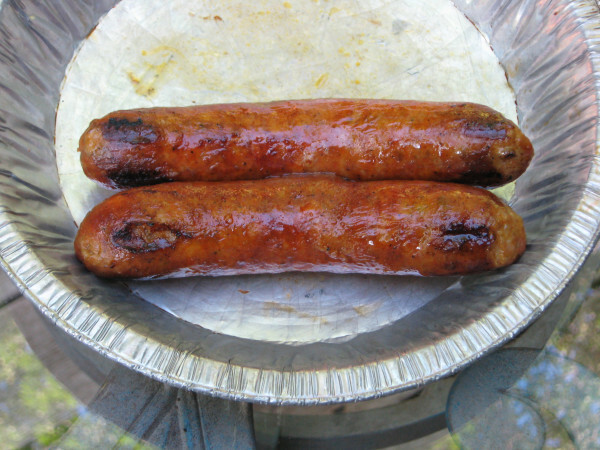 This should be a good match for a Wisconsin dietary staple, some spicy brats. 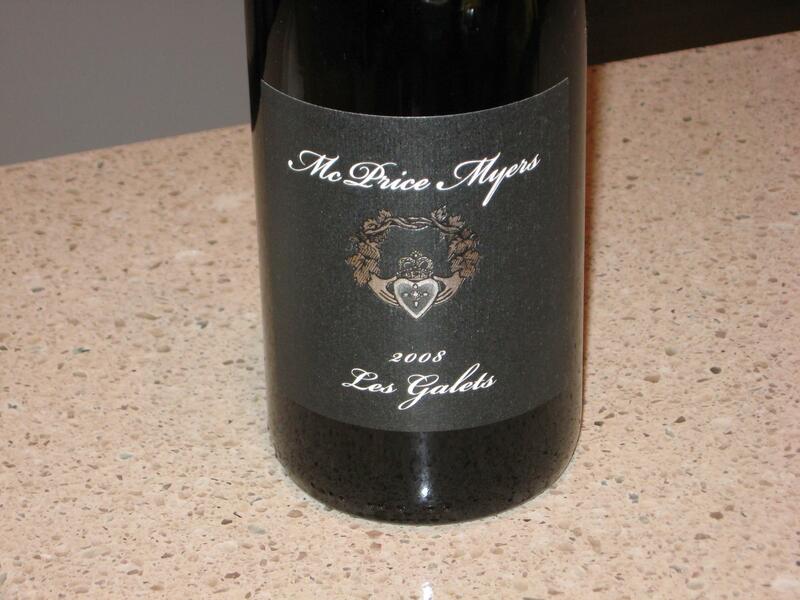 I’m generally a fan of Mc Price Myers, but some of their wines are too big and ripe even for me. Wines with this much body and alcohol, to me, absolutely must have solid tannins and more importantly enough acidity to avoid becoming syrupy. There has to be something to support and give a backbone to a massive wine. Dinner was some fresh, store made “Spicy Packer Brats” from Karl’s Country Market close to my office. These were a perfect pairing with the McPrice Myers Syrah, in my opinion. Both were big and bold but complimented each other. I bought a few of these from Garagiste Wine out of Washington a little over five years ago. So far we’ve only had one bottle and I liked it, so it’s time to check in again to see how it is doing. We have visited the AlexanderValley based Trentadue Winery a few times in the past and always had a good time and an even better tasting. This is a long time favorite wine in my house. The blend varies each vintage, this one is 49% Sangiovese, 27% Merlot, 8% Montepulciano, 8% Malbec, 7% Petite Sirah, and 1% Syrah. This wine has enough acidity from the Sangiovese to stand up to dishes with tomatoes but the other grapes lend enough body and oomph to stand up to meat. We like this wine with everything from pasta with meat sauce to Veal Parmesan and baked ziti. This bottle fell through the cracks. I had it on my list to drink a year or two ago but never got around to opening it. 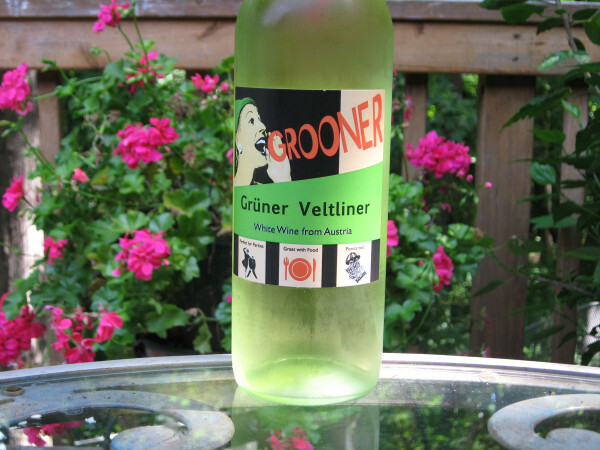 Grüner Veltliner, like Riesling, are higher acidity whites that can age pretty well, even the ones from low price points. I guess today will be a good day to see how this under $10 Austrian white progressed or even survived with three years in the cellar. This is the home of some fantastic NapaValley cabernets at unbelievable prices. 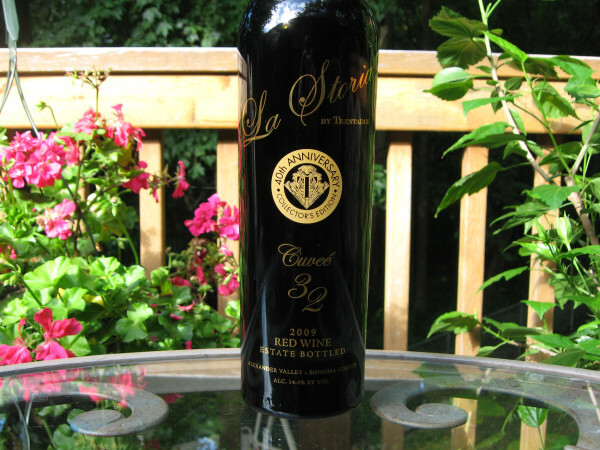 Their latest offer includes their 2009 Stagecoach Vineyard Cabernet and the 2009 Seventy Four – Forty One Howell Mountain Cab came out of Friday. If you can bribe your way onto their pre-release mailing list, these are only $48 each. As a bonus, they also have a Library Release of their first commercial offering, the 2004 Stagecoach Vineyard Cabernet. Visit https://jeanedwardscellars.com/ and tell Karen I sent you. If you’re interested, we’re having a pre-release 2009 Jean Edwards Cellars Cabernet Sauvignon Stagecoach Vineyard with dinner tonight. Check out my blog tomorrow for my review. Epoch’s next release will be hitting the inbox in mid September. They are moving from the dreaded free-for-all to a guaranteed allocation with a wish list option. This usually method usually cuts back your maximum bottle quantity but allows you some time to get in your order. I greatly prefer smaller but guaranteed allocations. I’ve completely missed some offers due to business travel and how many people can actually spend all day constantly monitoring their e-mail when an offer is due to hit? 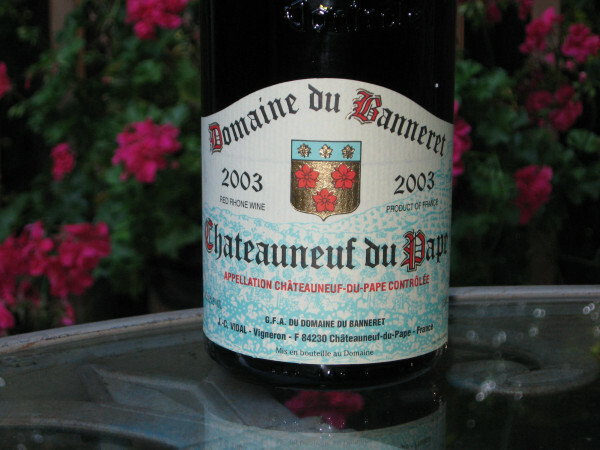 Thanks for the taste of the Chateauneuf du Pape Cliff, I still am talking about it! I’m glad you liked it, I thought you would. I enjoy sharing wine.